The Kia Picanto has more tech than you'd expect, in a compact and stylish car and is available to view at Underwoods Kia in Colchester, Essex. Like all New Kia Cars, the Kia Picanto is covered by our pioneering 7 year promise, which consists of 3 year/unlimited mileage and 4-7 year/100,000 mile full manufacturer’s warranty including a 12 year/unlimited mileage anti-perforation warranty. Need more information? Download and view the latest Kia Picanto PDF brochure. Kia Picanto is available to buy from £9,720 at Underwoods - Kia Main Dealer in Colchester, Essex. Full of stylish details, the Picanto is made to please, the spacious interior whose centrepiece is an intelligently designed dashboard underlined by sophisticated satin chrome. Next, let your eyes linger on the colour inserts and sleek vertical air vents, Isn't life grand? The city streets are the Kia Picanto's perfect playground. It's stylish contours, expressive face and rear combination lamps hint at the cars youthful nature. Just looking at it makes you want to slide in and set off to wherever life's hustle and bustle take you next. Anything but dull, the Kia Picanto is ready to light the way. The high-tech bi-projection headlamps with LED daytime running lights and position lamps add a lot of charisma and give the car character. Flanking each side are LED side repeater lams, you want to show off your contours. The Kia Picanto is designed to make life easier. Keep the Smart Key on you and the car locks and unlocks without a key. And ignites with a push of a button. Before heading to a meeting, give yourself a visual check on the illuminated vanity mirror. Your morning coffee or smoothie stows safely in the space saving collapsible cup holder. It may look compact on the outside, but inside the Picanto there's plenty of space. After all, it's one of the roomiest cars in its segment. With up to five full seats for you and your friends' next urban adventure. And loaded with comfy extras to make you feel at home, from high-class faux leather seats to an adjustable driver armrest. 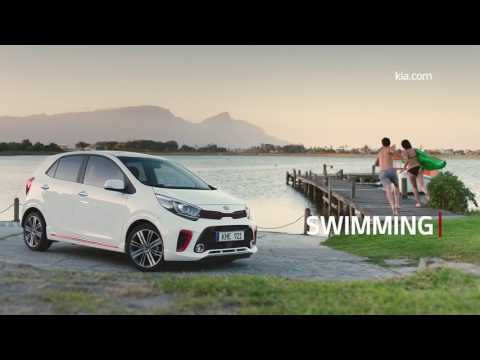 Reverse with confidence and ease in the Kia Picanto. The integrated waterproof rear view camera shows dynamic guidelines on the car's touchscreen, which move according to how you turn the steering wheel. This gives you a better look at where you are heading as you back up. Choices abound in the Kia Picanto. Starting the flexible and versatile best-in-class boot that holds up to 225 litres. Maximise the potential of the dual-level luggage board to transport tall objects with ease. Thanks to 60:40 rear seats that lie flat with one touch you no longer have to choose between your friends and your stuff. The Kia Picanto supports Android Auto and Apple CarPlay, keeping you connected while you focus on the road.  Stay in the know with Kia's Connected Services powered by TomTom. Access info about speed cameras, weather, traffic and more on the display. On-board navigation system includes 7 year of map updates and live services. Navigating the day is a breeze in your Kia Picanto. At its heart is a floating 7" touchscreen with Bluetooth. Turn to it to find the quickest route to your destination, listen to your favourite tunes and access the rear view camera. The stylish sharkfin antenna keeps the signal clear. So many functions, one high tech package. Low battery? Conveniently top it up wirelessly in the Kia Picanto. Simply place your compatible mobile on the designated centre console tray. That's it! Should other objects land in the tray, the safety-orienated foreigh object detection system deativates the charging functions. Discover DRIVE WISE, the latest advanced driver assistance technologies designed to increase road safety. And make driving pleasurable. Such as Autonomous Emergency Braking (AEB) with City and Urban modes on the Kia Picanto. By warning and braking automatically if it detects a collision risk, AEB helps you avoid or mitigate an accident. Active safety features on the Kia Picanto help you steer clear of suprises. ABS minimises stopping distance while maximising stopping power. Electronic stability control (ESC) ensures optimum braking performance and directional control. Start on an incline is finally easy thanks to Hill-start Assist Control (HAC). With numerous passive safety features standing by just in case, the Kia Picanto is dedicated to your protection. Driver and front passenger airbags, two front-side airbags, two side-curtain airbags all come standard. A driver's knee airbag is available on top. The especially rigid and strong car body provides first-line protection. Part of what makes the all-new Kia Picanto peerless are its upscale features, such as Auto Cruise Control with speed limiter. Use the buttons located at your fingertips to set the desired speed, then let the car keep the pace. The speed limiter function warns you if you exceed a pre-set maximum speed. Add some power to your Kia Picanto by selecting the engine that fits your (driving) style. Now available with a powerful yet efficient 2.0 T-GDi engine, the perfect partner on city streets. If a tiny carbon footprint and a fun ride is your target, choose the 1.0 MPi engine and decrease your emissions to as low as 89g C02/km. What good is a fun-looking car if it isn't fun to drive? That's why the Kia Picanto is equipped with a high-class torque vectoring function that intelligently helps prevent under steering. Thanks to Advanced High Strength Steel (AHSS), enjoy the ride with less noise and vibrations. Just what you need to zip around town in comfort and style.